It’s as if they know no other narrative. No other way of leading. 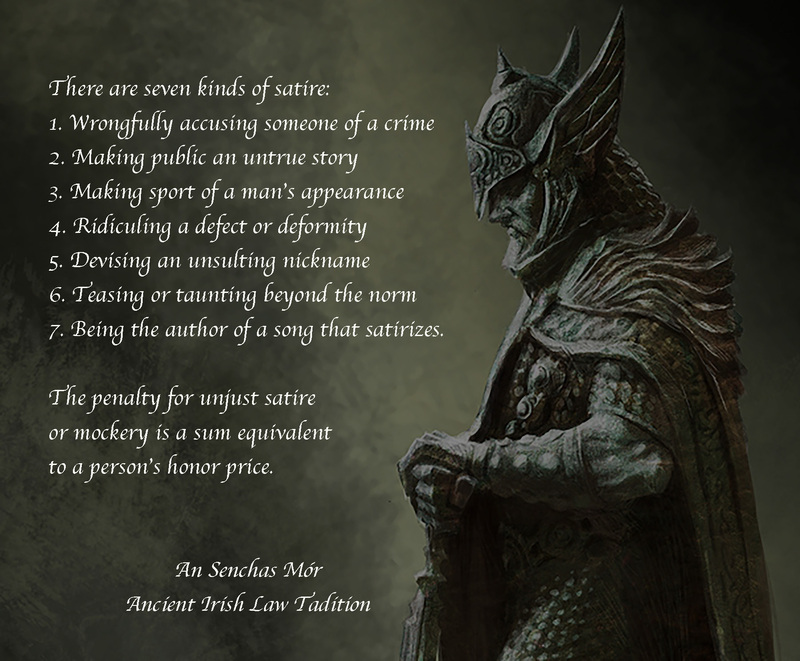 Within the sins of wrath, greed, sloth, pride, lust, envy, and gluttony the GOP leadership has included the sin of satire. In ancient Ireland any one of these satires would be cause for immediate and permanent removal from leadership. And with the penalty of paying a sum to anyone subjected to their satire, we would all be rich.